When Ana Carrasco Gabarrón won the World Supersport 300 Championship earlier this year she became the one of the latest trailblazing women motorcyclists as the first ever woman to win a solo motorcycle road racing title. While women have been enthusiastic bikers ever since motorcycles were invented, they’ve had to push back against deeply ingrained attitudes. 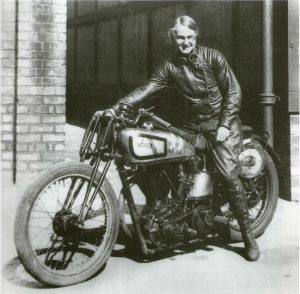 Here Bikesure celebrates some of Britain’s trailblazing women motorcyclists who have made history on two wheels – even if their exploits are not celebrated as widely as those of their male counterparts. .
Born in 1900, Marjorie was one of the UK’s first female professional racers and leads the way in our list of Britain’s most brilliant trailblazing women motorcyclists. By 1924 she’d already established enough of a reputation on the track to be offered a job from Raleigh, which involved driving 3,000 miles around the country. This was followed a couple of years later by a journey of more than 1,000 miles, with the route writing “Raleigh” over the British Isles. In 1925 the ACU banned women from road racing, so Cottle moved effortlessly to dirt track racing, racking up a great number of wins. In 1933 after Raleigh stopped making motorcycles she switched to Triumph and in 1939 she represented Britain at an international six-day trial in Nazi occupied Austria, just before the declaration of war. There was a civilian and an army team competing, but on the fourth day the civilians were told to return to England immediately. Marjorie refused, competing alongside the Army team on the fifth day. 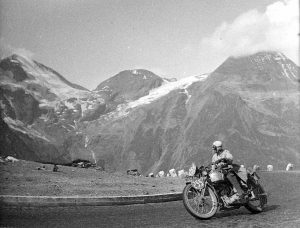 When the army team were ordered to leave, they quickly travelled on their bikes to Switzerland with just hours to spare before war commenced. Like Cottle, Beatrice was just the right age to join in with the huge popularity of motorcycle racing in the late 1920s and 30s. She was awarded the prestigious Brooklands Gold Star for lapping the iconic circuit at more than 100mph, one of only three women to achieve this. Also a highly qualified engineer, she was recruited by the Royal Aircraft Establishment and developed a technique for restricting fuel flow into the engines of the Hurricane and Spitfire fighters during WW2. This would stop them losing power, or cutting out entirely, and doubtless saved many lives. Her invention, which was essentially a small metal washer, became known as “Miss Shilling’s Orifice”. Years later she was awarded the OBE for her wartime service, and spent many years after the war racing vintage sports cars with her husband. 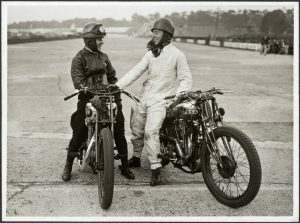 Theresa and Florence were both accomplished motorcyclists in their own right. Florence was the first woman to be recorded “doing the ton” at Brooklands, in 1933, and Theresa was an experienced engineer – the first female engineering student at Northampton’s polytechnic institute as well as an accomplished racer. The two women had big ambitions, and in December 1934 set off from London with the intention of travelling to Cape Town. They went on a Phelon & Moore Panther motorcycle with sidecar, but no compass – and through the Sahara. It’s fair to say that quite a lot of people thought they wouldn’t make it, but in July 1935 they rolled in to Cape Town with a collection of photographs, film (you have to admire their pluck and jaunty waves), and some hair raising tales of their journey. Theresa’s relationship with motorcycles didn’t end there. 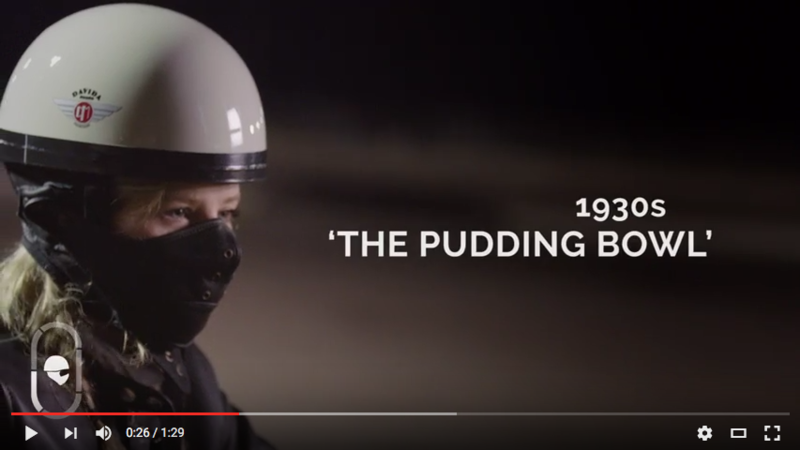 In WW2 she joined the ATS as a mechanic as well as being one of the only – some sources say the only – female motorcycle despatch rider in the army. After the war, she moved to America and established a motorcycle dealership, as well as helping to found the Women’s International Motorcycle Association. She lived to the grand old age of 90, and kept biking until she was 88, only stopping as her eyesight declined. 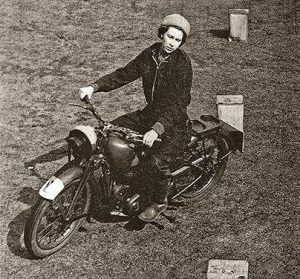 Yes, the Queen is right up there with the best trailblazing women motorcyclists. Now, we’re not claiming that she’s the greatest or most adventurous motorcyclist in the world, but it’s still pretty cool that she could presumably give you a hand sorting your engine out, if a series of very unlikely circumstances brought you together like that. She learned how to drive when she joined the Auxiliary Territorial Service in 1945, as part of her training as a driver/mechanic. While the following decades haven’t given her much opportunity for two-wheeled travel – at least not publically – her love of vehicles is well documented. It’s also worth noting that she’s the last head of state to have served during WW2, and one of the few to be able to help you change a tyre. As we’ve seen, women who biked had a lot of obstacles placed before them during the early 20th century and some obstacles remain today. 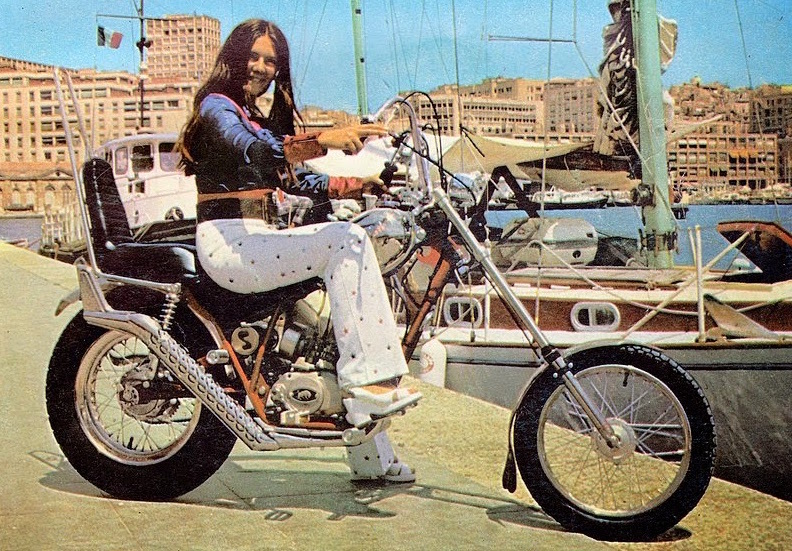 The perception of women and motorcycles has changed many times down the years. 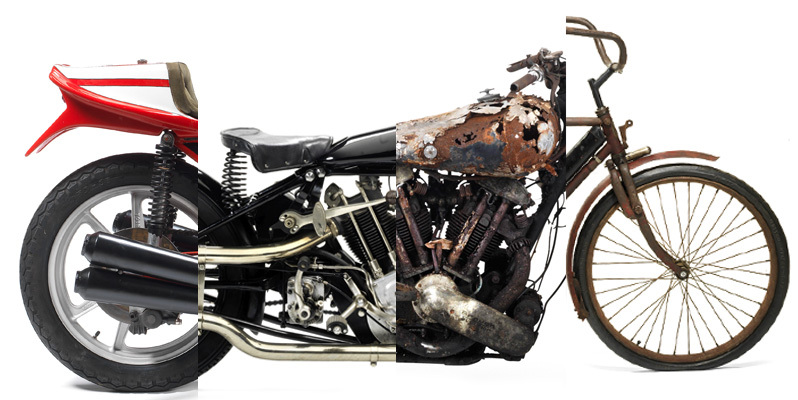 As we’ve seen, women have wanted to –and indeed have – ridden motorcycles since they were invented, and raced them professionally for almost as long. Despite this, motorcycling was long seen as unladylike and any woman on a bike was made to seem like some kind of strange aberration. 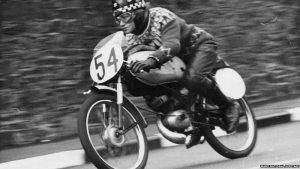 Which is why when Walthamstow housewife and racer Beryl Swain became the first woman to complete the Isle of Man’s TT course in 1962, race organisers introduced a minimum weight limit which effectively prevented her – or 99% of women – from racing again. The urge to get on a bike and head off into the sunset, exploring the world on two wheels, has grabbed hundreds of people down the years. In the early 80s, then trainee architect Elspeth Beard was inspired to get on her second hand BMW R60 and see how far she could ride around the world on it. As it turned out, pretty far, with a few extended breaks to recover from accidents or to earn money. She eventually made it back home just over two years after she left, a journey of 35,000 miles on the clock. In 2017 she published Lone Rider, telling the story of her adventure as the first British woman to circumnavigate the globe on a motorbike. 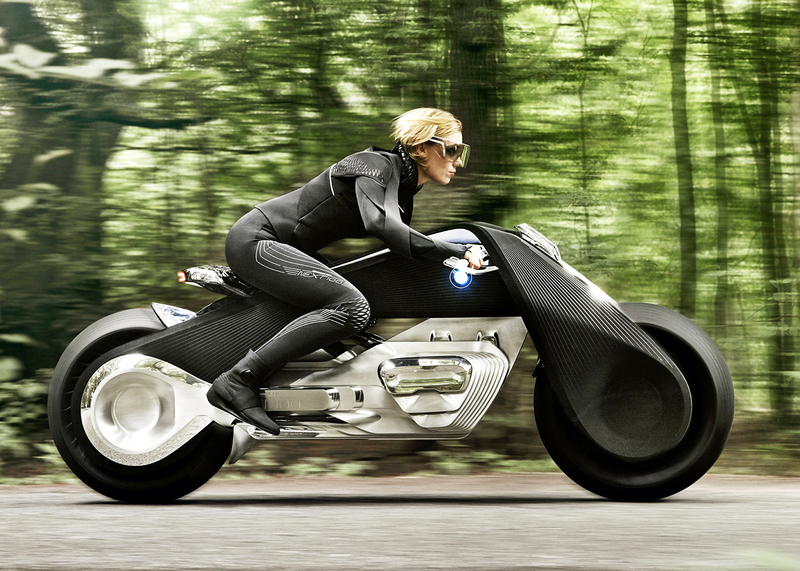 She continues to be a keen motorcyclist, as well as an award-winning architect. Despite the general opinion that most of the world has already been discovered, there’s still plenty of groovy people out there exploring and discovering it for themselves, and going to great lengths in order to do so. 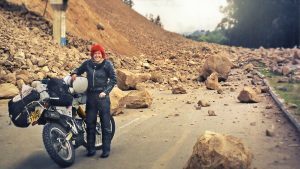 Lois Pryce is one of the most accomplished modern motorcycling explorers, having undertaken some truly epic journeys since 2003. She’s travelled 20,000 miles from Alaska down to the tip of Argentina, 10,000 miles through Africa, then back for another 6,000 mile journey across America with her husband, a relatively breezy 1,500 miles around Brazil, and most recently 3,000 miles around Iran. She’s written three books about her adventures, with Revolutionary Ride, about her Iranian trip, being the most recent. Decades on from Beryl’s foreshortened career, women are now graciously allowed to race the TT should they want to. Previously a commuter biker, Maria’s life as a racer began when a car drove into her. Instead of being put off biking, she used the damages from that accident to buy her first racing bike and really went for it. Since then Maria has racked up an enviable collection of records and firsts in her career. In 2004 she became the fastest woman to lap the TT course, holding the record until 2009. She then became the first female solo rider to make the podium, with a third place in 2005’s Manx Grand Prix ultra-lightweight category. In 2009 she was awarded the MBE in the Queen’s birthday honours, and recently became the first female president of the TT riders association. The person to break Maria’s TT lap record, Jenny Tinmouth – number 9 in our list of trailblazing women motorcyclists – had already blazed quite the trail through the record books before hitting 119 mph in 2010. 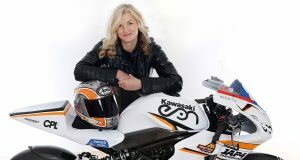 The first woman to race in the 125cc championship, the British Supersport, Supersport Cup, and the British championships, the first woman to win a British championship race, completing the 2010 championship with the most points – denied the overall win due to rule changes (which in this case weren’t deliberately designed to exclude women progress! 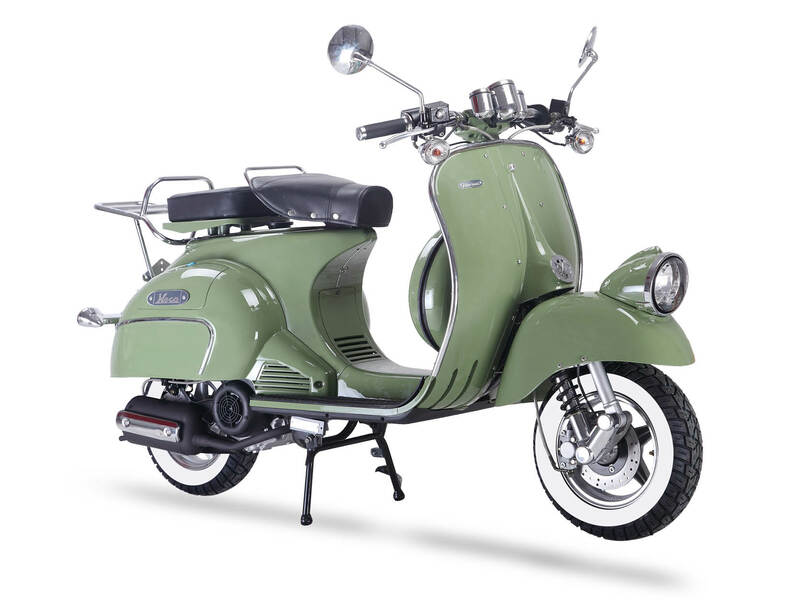 ), the first British woman to race in World Supersport, also winning the first UK electric bike race, and the first woman to own a British superbike team. Which is certainly a better outcome than having a governing body change the rules so you can’t compete! 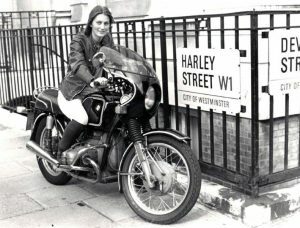 These are just a selection of some of the women who’ve helped create motorcycling history. If you think there is someone was have missed, please let us know.